Asbestos occurs naturally as a mineral substance. Its fibres are soft and flexible, and easily mixable with paper, cloth, cement, and plastic to make them stronger and resistant to heat. Asbestos fibres are small, thin and invisible to the naked eye. Asbestos is an excellent additive for heat resistance, electrical insulation, and chemical corrosion. Asbestos was cheap and readily available. As a result, this mineral was ubiquitous to construction, roofing, plumbing, electrical wiring and many bustling industries in Australia the 1980s. It is one of the reasons the asbestos removal services are keen on inspecting old homes for the presence of asbestos. Several old pieces of machinery, buildings and building materials in Australia still contain asbestos in different forms. In 2003, the government banned the use of asbestos altogether due to its disease-causing properties. These microscopic fibres are invisible to the naked eye. One cannot smell them, taste them or feel them. Exposure to asbestos does not elicit immediate physiological symptoms. It has a latency period between 20 and 30 years before any signs show up. What diseases do asbestos cause? 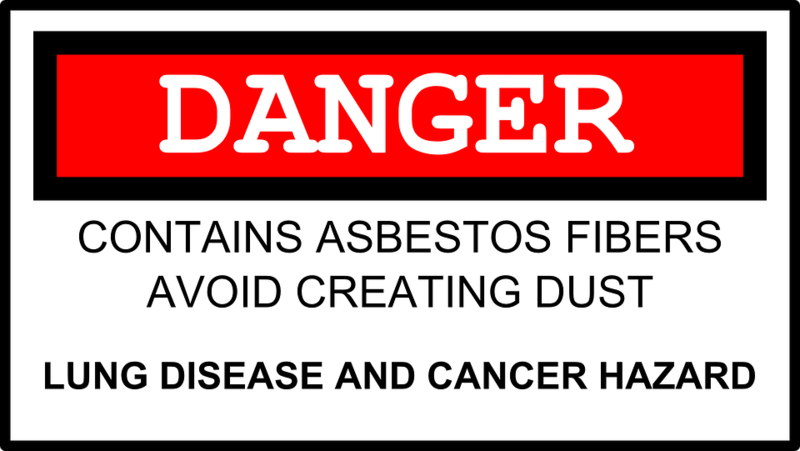 Once in the system, asbestos fibres do not dissolve or leave the system altogether. The fibres that our body entraps can lead to chronic inflammation, scarring and permanent cell damage in the lungs. Sometimes, any symptom of asbestosis or mesothelioma takes 50 years to develop. Therefore, there is a good chance that the cases of asbestosis and mesothelioma coming to the forefront now are results of exposures that happened in the early 1970s and 1980s. There is no tolerance threshold for asbestos, yet those with higher levels of exposure in terms to extended period or concentration of the fibres show the worst symptoms. Asbestos is responsible for causing a plethora of different afflictions in human subjects. Although these three diseases make it difficult for the patient to breathe freely, none of these is malignant. Asbestos is also responsible for causing a unique and aggressive form of lung cancer – mesothelioma of the plural region and peritoneum. Till date, asbestos is the leading cause of occupational carcinoma. Why is asbestos dangerous for human health? Asbestos is sneaky since it is difficult to identify and it can be present around you right now. There was a time when every wall and pipeline contained asbestos. Cement sheets, roofing shingles, and every other form of fire-resistant construction material contained asbestos at a time. Companies once used asbestos in paint, gaskets and brake pads for automobiles. Old Brisbane homes have asbestos in their vinyl flooring tiles and the attic insulations. As long as you do not agitate these materials, asbestos causes no harm to you. In most cases, asbestos makes its way into the indoor air during renovation and reconstruction activities. If you are currently living in an old home that your parents or grandparents built before the 1990s, there is a high chance of having asbestos in the construction material. It is always smart to put your safety first and give an asbestos inspection and removal company for their services before you renovate your place or put your property on the market.